Had a breakfast with homemade bread made from natural yeast. 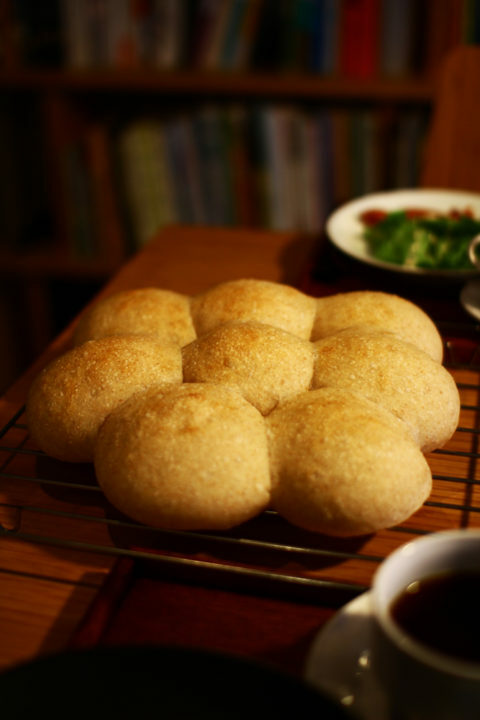 I challenged this with a help of teacher Emi from “Ohimaru bread”. Although earlyish hour is bit frantic and feel troublesome to do such thing, but preparing it carefully gave me some fulfillment and the motivation to start my day. Of course I can’t do this every morning (I wish I could…), will try to do it regularly. Photo: The bread hot from the oven.